We can set up all your DNS records for you, or give you control of your Domain Names if you like to fiddle yourself. Our marketing manager will spend time searching for a quality available domain name to suit your business. We are also on the panel to receive “first-dibs” on any old expiring domain names too. We’re always on the lookout for domains for our existing customers. 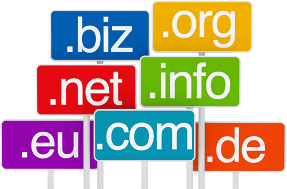 Need Help Ordering your Domain Names? Contact Us. Search For The Right Domain Names, Right Now. Your domain is the first thing people see when they find your website. Your web address is the first impression of you or your organization. Having the right name is critical to giving a positive first impression, no matter what your website does. Let BIP media help your company reach new heights by utilizing the power of Search, Social Media, and Online Branding. BIP media has vast experience in the industry and years of experience in effective online marketing.